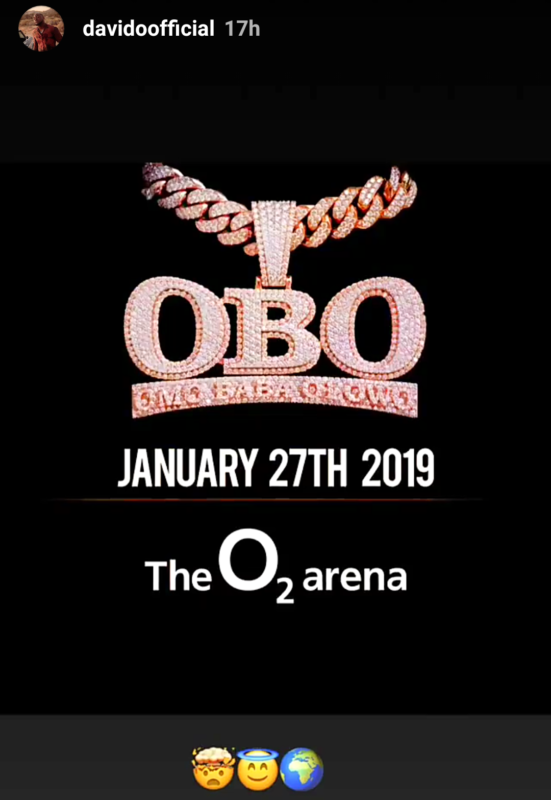 DMW boss is set to become the next Nigerian musician to shutdown London O2 Arena. Plans are already in place for his record breaking London concert. The announcement came shortly after he successfully performed at the WIRELESS music festival London. The news was placed on his Instagram story with a supposed concert artwork & poster. As seen from the poster the event is happening in 2019, precisely January 27. 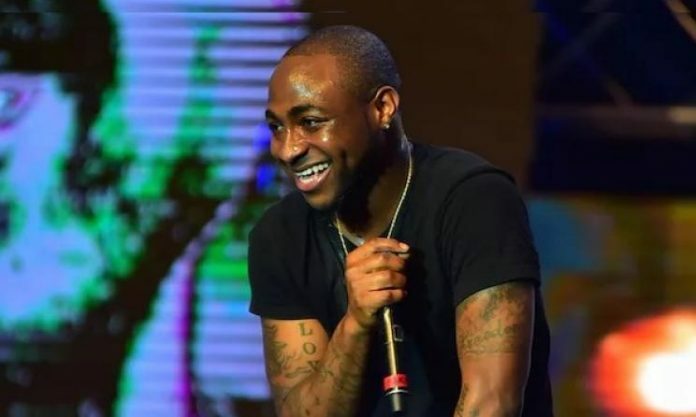 As would be expected Davido would sell out the 20,000 capacity London O2 Arena. This would be the second attempt by a Nigerian artist to have a sold out show at the venue. Wizkid did same in May, he sold out the hall while also giving a mind boggling show.